The RM50T plastic tank has a volume capacity of 227 litres. The RM50T is heavy duty, plastic tank with straight sides. 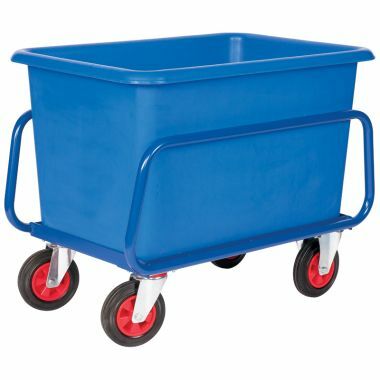 This product is ideal for use within a multitude of industrial storage and materials handling applications and is well suited for a vast range of different industries. An optional plastic lid is available to help protect and cover its contents. The RM50T consists of a single one-piece moulding that is manufactured from food grade polyethylene. The product is seamless, watertight and crevice-free, enabling it to be easily cleaned. The plastic tanks hygienic value makes it an effective solution for use within high care environments. The RM50T can be produced in a standard colour range of blue, red, green, yellow and white (natural). Additional colours available to order include orange, purple, brown and grey. A black variant can be supplied made from recycled material which can be found here. 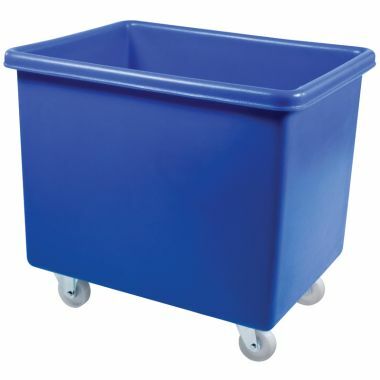 Click here to view the entire range of large, heavy duty, plastic tanks. The RM50T is a heavy duty, food grade, plastic tank ideal for storage and handling applications. The seamless, smooth and watertight construction of the plastic tank enables it to be easily cleaned. 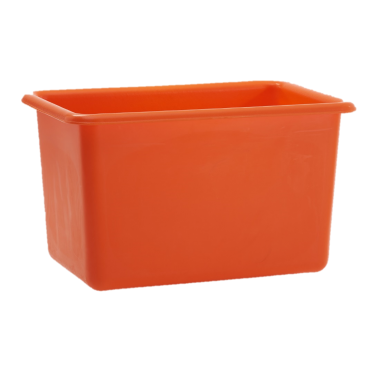 The plastic tank is available in a wide range of colours. Optional drop-on plastic lid available. The RM50T is a plastic tank, manufactured from food grade polyethylene, with a capacity of 227 litres.